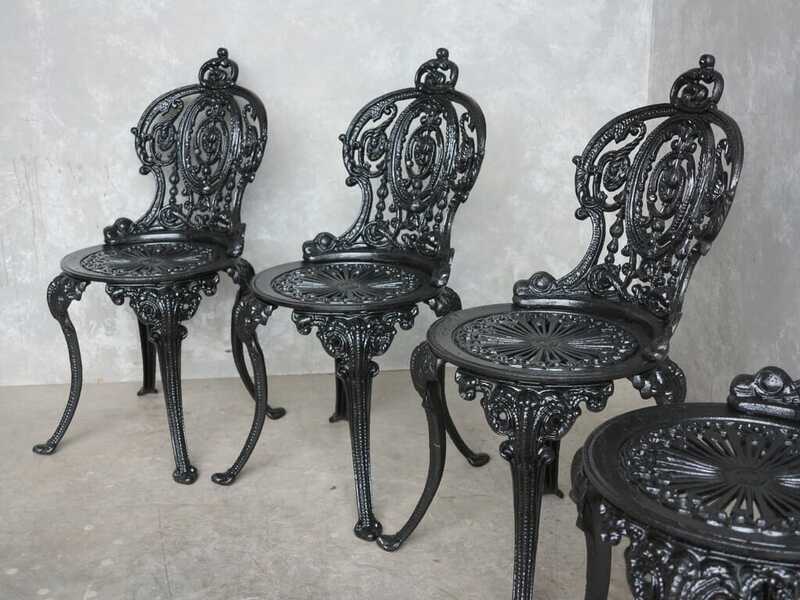 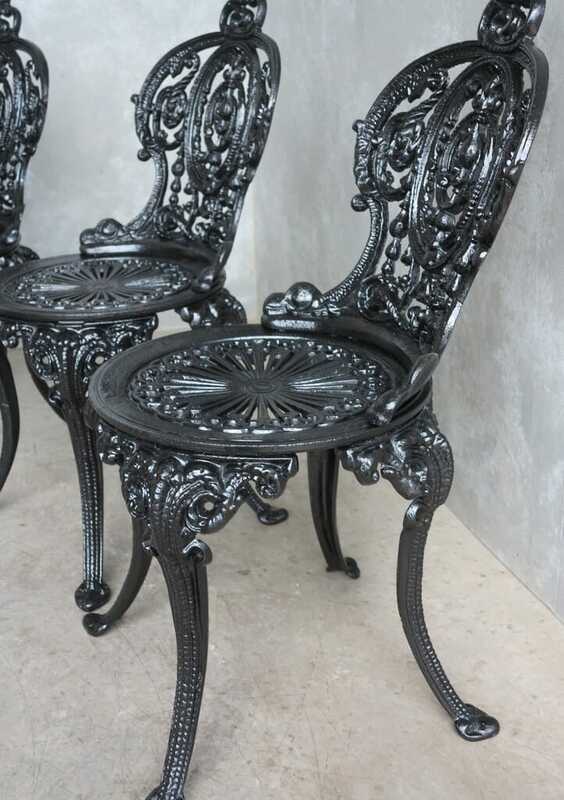 Excellent cast iron chairs, weighing a substantial 24kg each (over 3 ½ stone). 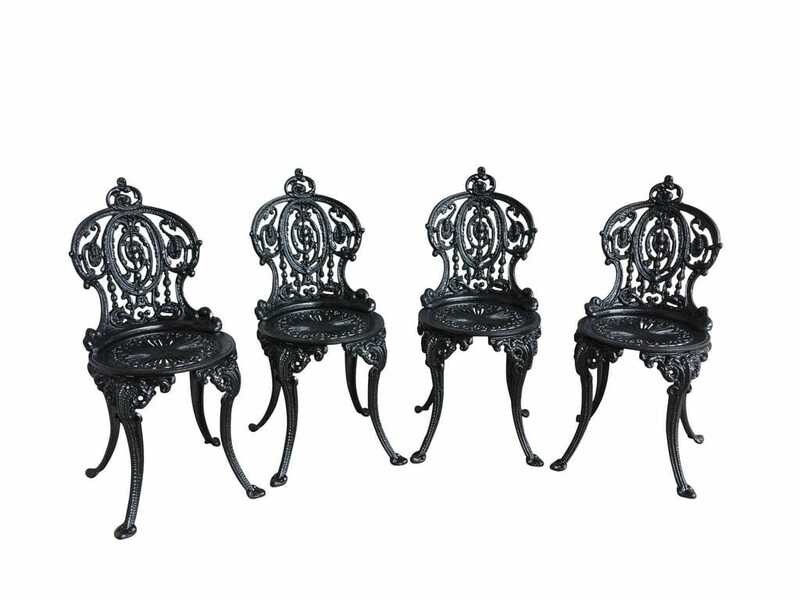 They are substantial and are made of solid cast iron. 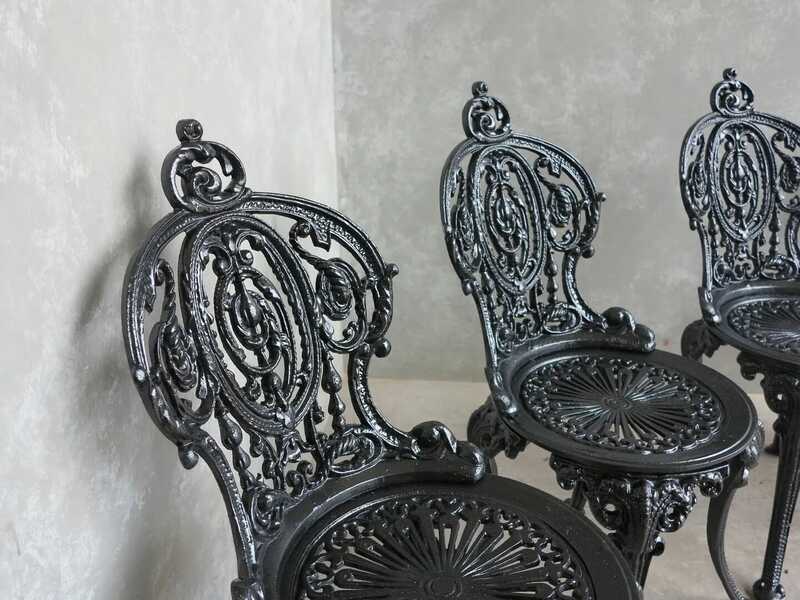 The seat height is 17" and overall they are 34¾" Tall. 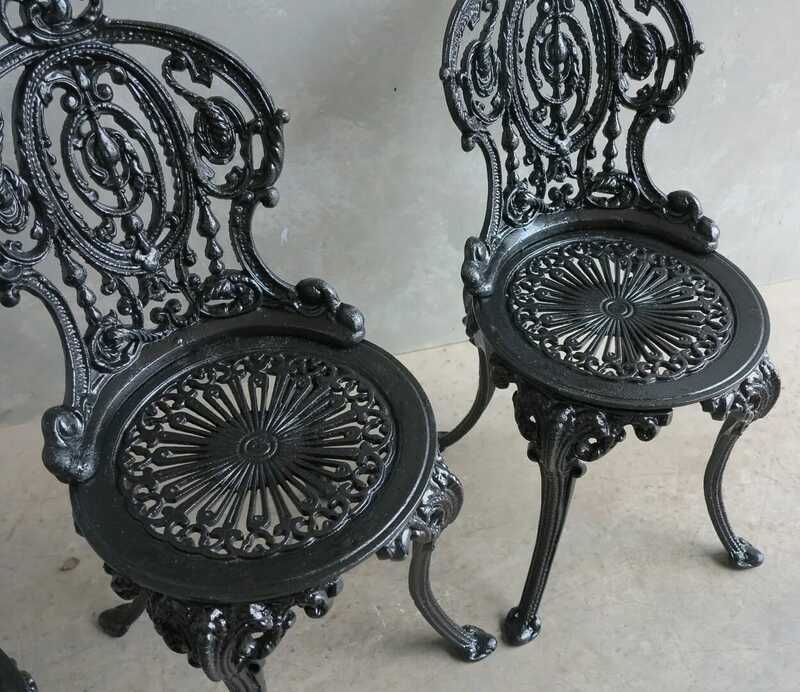 These are practical and decorative chairs.